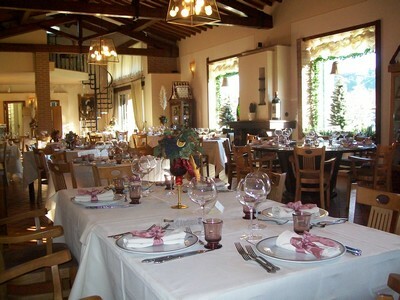 This Restaurant is located in Cevoli, a really small town, near Lari and Casciana Terme (this is the adress:”Via del Commercio n°210 Cevoli Lari C.a.p 56035 (PI)”). 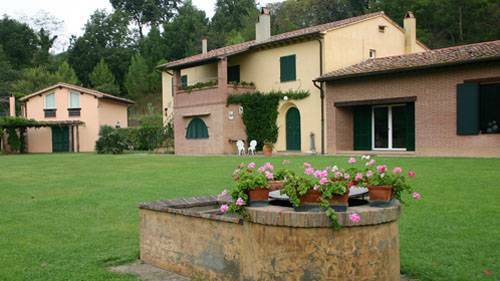 Here you can try typical Tuscan food like ravioli, pasta, steak, fresh vegetables, cheese which are really tasty, because the chefs make it with fantasy and innovation! The staff is quick, kind and the room is stylish and fashionable. Here is an example of the variety menu made for a special event. 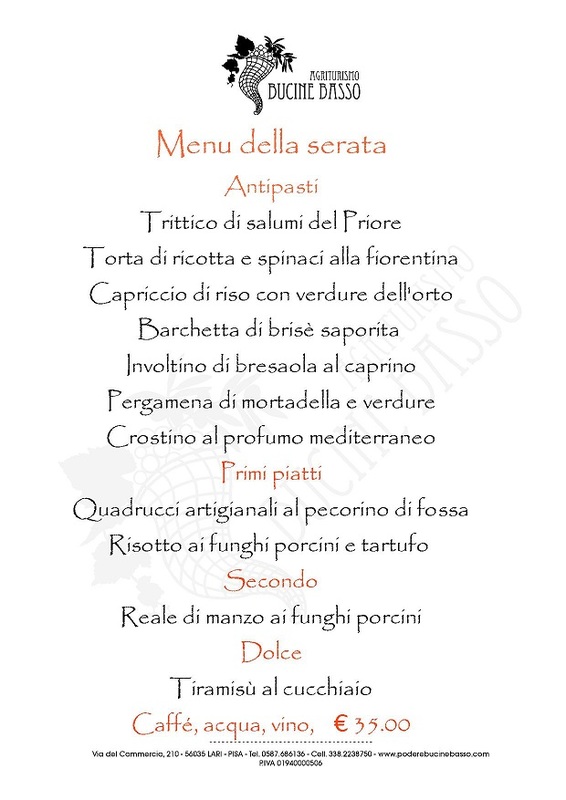 If you know some recipes of the Italian cuisine, you can see how many high quality food are in this menu! The last advice on this restaurant, is that in reality it’s also an Agritourism, so you can stay in their beautiful rooms, and if you want to have fun, visit their swimming pool!